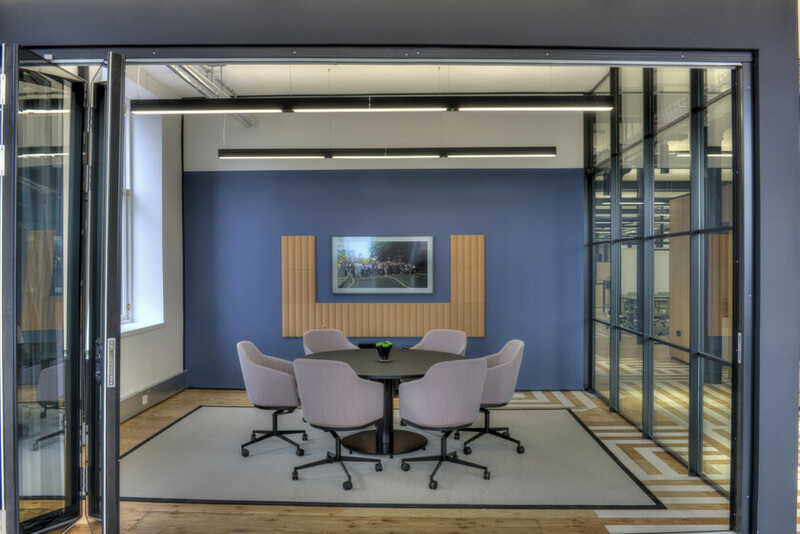 The company vision was to carry out a unique high quality fit out which focusses on a healthy environment by enhancing many of the natural base build design features. 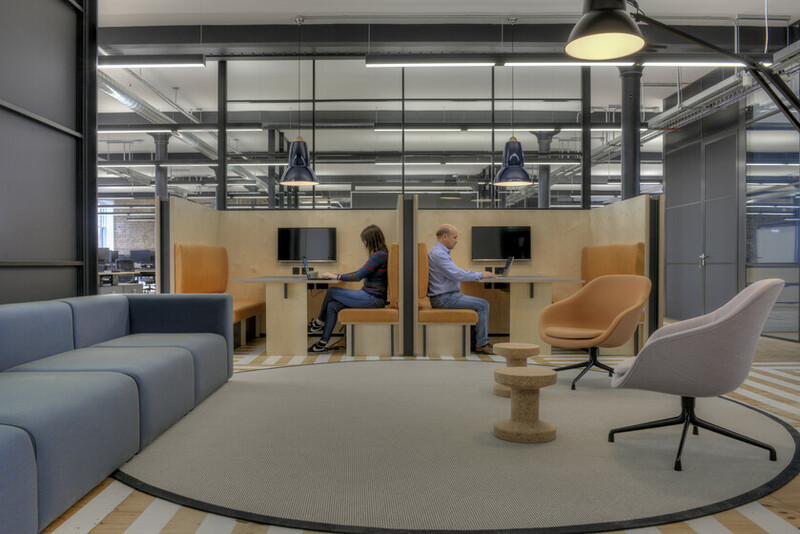 This one-off space was to replicate the AutoRek ambition of attracting new staff and expanding their already successful business. AutoRek is an information and data management consultancy, whose products have been implemented in many of the world’s largest organisations. 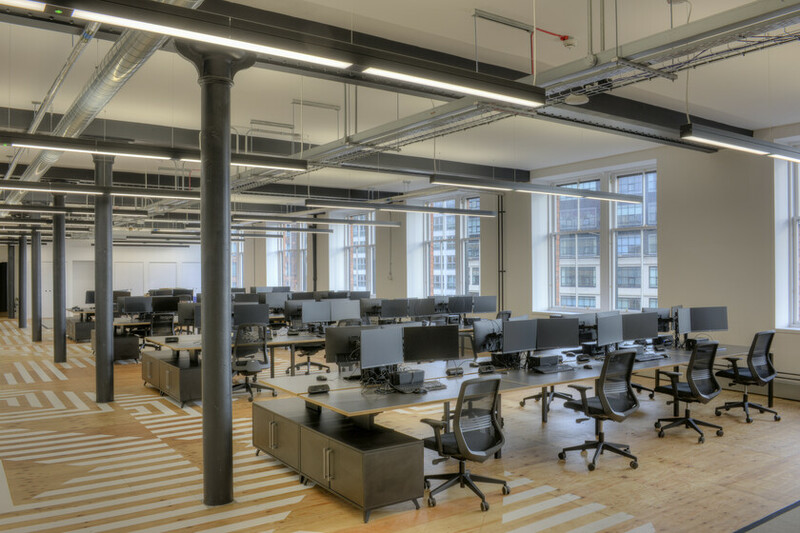 With future expansion in mind, AutoRek have relocated their headquarters to the newly refurbished category B listed Garment Factory building within Glasgow’s Merchant City. 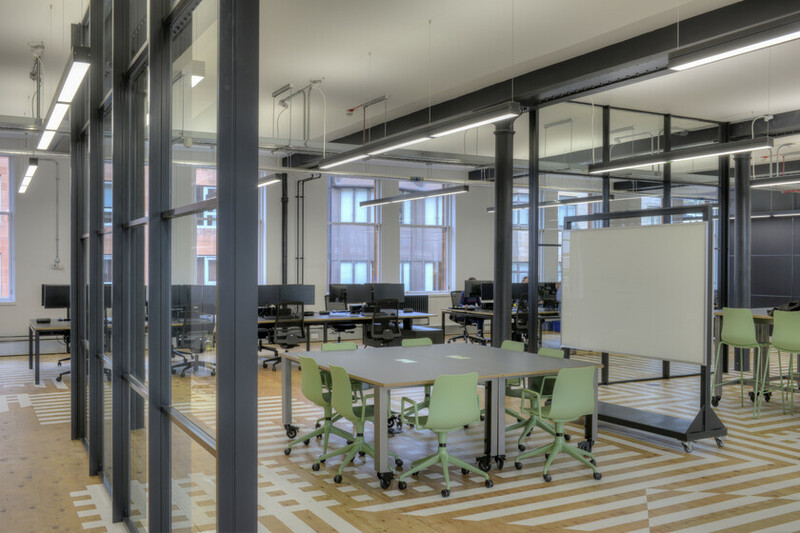 Situated on the fourth floor, the office floor plate totals 8,385sq.ft. Atelier Ten worked closely with both Graven architects and the client to deliver a flexible healthy environment to a tight programme. 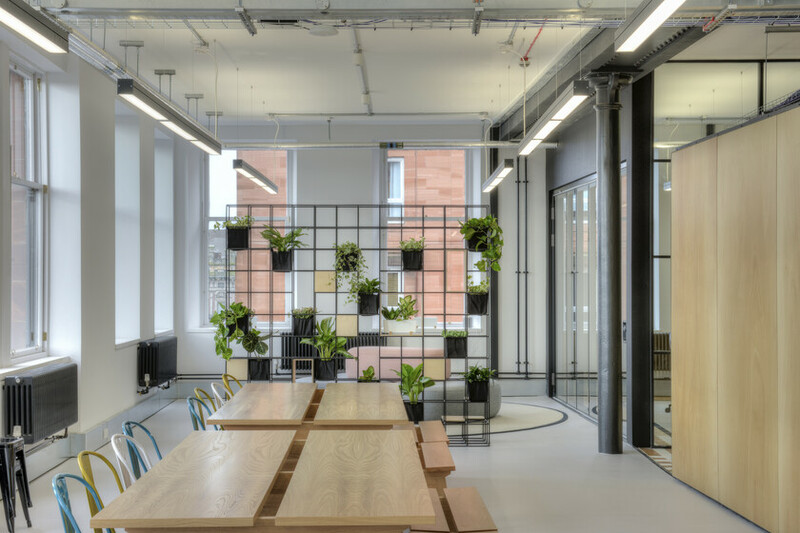 Consideration was given throughout the fit-out to enhancing the base build features such as maintaining the base build natural ventilation strategy, reusing the suspended linear luminaires and retaining the high exposed soffits. 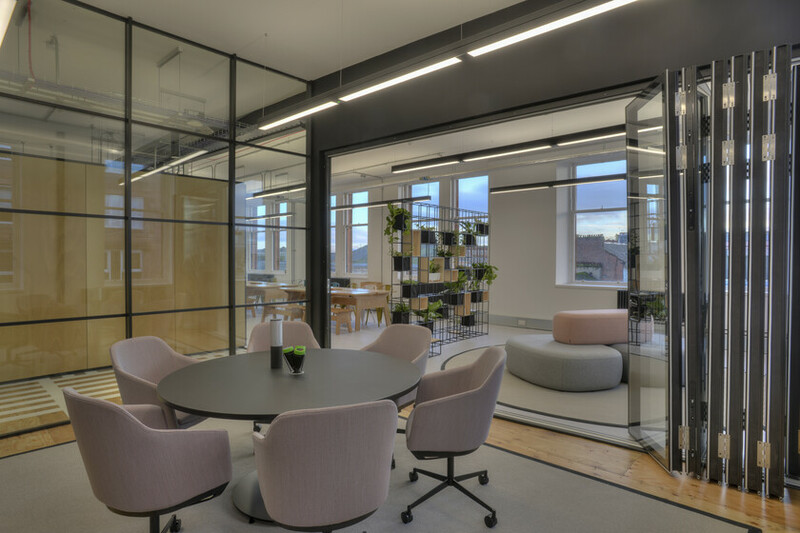 A large proportion of the meeting spaces have been created with floor to soffit glazing to make full use of the natural light through the large openable windows which retains the feeling of space throughout the office. 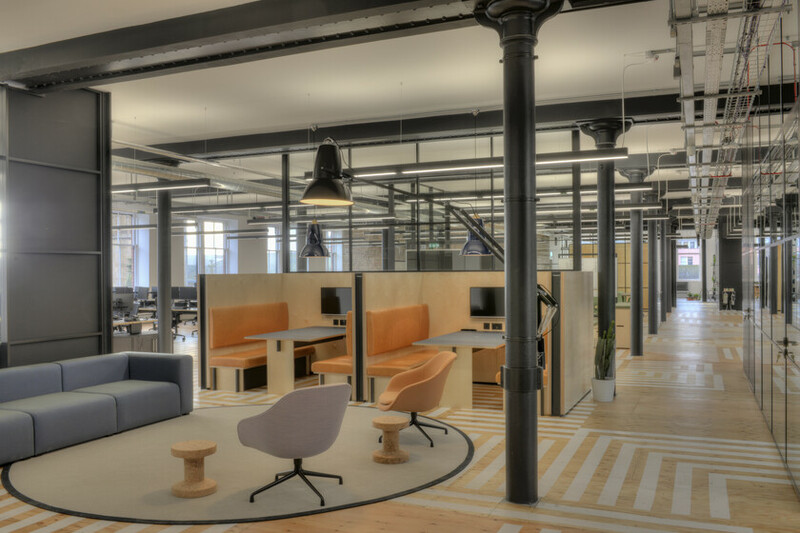 With a large proportion of services being exposed the co-ordination and quality of installation was a major focal point in order to reinforce the industrial look and feel carried throughout the building.